We have created this privacy statement in order to demonstrate our commitment to the privacy of personal information provided by those visiting and interacting with this web site. We hold the privacy of your personal information in the highest regard. The following discloses our information gathering and dissemination practices for this website. 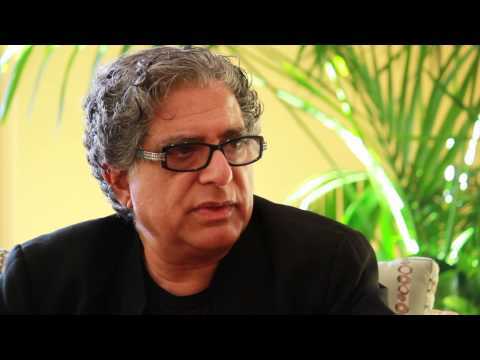 This is an agreement between you and Chopra Addiction and Wellness Center, and governs your use of the Web Site and its content and the products and services provided through the Web Site. Each time you use the Web Site you acknowledge and signify that you have read, understood, and agreed to be bound by this agreement. If you do not agree with each provision of this agreement each time you use the Web Site, you may not use the Web Site. Each time you use the Web Site, the text of this agreement as it then reads will govern your use. Accordingly, when you use the Web Site you should check the date of this agreement and review any changes since the last version. By accessing this web site, you agree to the terms of this User Agreement set out below. If you do not agree with the terms of this User Agreement, do not access the web site or any pages thereof. Only persons resident in Canada and the United States who have reached the age of majority or legal age in their jurisdictions and who can form legally binding contracts under applicable law may use the Web Site. The Web Site may not be used by persons in jurisdictions where access to or use of the Web Site or any part of it may be illegal or prohibited. It is solely your responsibility to determine whether your use of the Web Site is lawful, and you must comply with all applicable laws. The Web Site and all information (in text, graphical, video and audio forms), images, icons, software, design, applications and other elements available on or through the Web Site are the property of Chopra Addiction and Wellness Center and are protected by Canadian and international copyright, trade-mark, and other laws. Your use of the Web Site does not transfer to you any ownership or other rights in the Web Site or its content. You may only use the Web Site in the manner described specifically in this Agreement. The Web Site may not be used for any purpose not expressly permitted by this Agreement. In particular, except as expressly stated otherwise in this Agreement, the Web Site may not be copied, imitated, reproduced, republished, uploaded, posted, transmitted, modified, indexed, catalogued, or distributed in any way, in whole or in part, without the express prior written consent of Chopra Addiction and Wellness Center. You may not use any of the software that is used in the operation of the Web Site except while you are using the Web Site. You may not reproduce, copy, duplicate, sell, or resell any part of the Web Site (including the software used in the operation of the Web Site) or access to the Web Site. The Web Site is made available to you for your lawful use only. You may print or download the pages of the Web Site for your personal use provided that you do not modify any of the Web Site pages or other content and you do not remove or alter any visible or non-visible identification, marks, notices, or disclaimers. Chopra Addiction and Wellness Center endeavours to provide current and accurate information on the Web Site. Nevertheless, misprints or other errors may occur. Chopra Addiction & Wellness Center assumes no obligation to update the information and information may change from time to time without notice. Any information presented on the Web Site is for educational purposes only and is not a medical advice or mental health diagnosis. User is strongly recommended not to alter or change their current course of treatment without consultation of their health care provider. Accordingly, Chopra Wellness and Addiction Center reserves the right to change the prices, service charges and fees regarding the goods and services available through the Web Site at any time and from time to time without any notice or liability to you or any other person. All information you provide through the Web Site, including registration information (name and email address), payment information (credit card numbers and expiration dates), and transaction-related information, must be true, accurate, current and complete. Chopra Addiction and Wellness Center will rely on the information you provide. You will be solely responsible and liable for any and all loss, damage, and additional costs that you, Chopra Addiction and Wellness Center or any other person may incur as a result of your submission of any false, incorrect or incomplete information. All online shopping transactions through the Web Site, including the purchase of all goods and services are governed by this Agreement and any applicable online Transaction Agreement. By using the Web Site or by participating in a transaction through the Web Site, you signify your agreement and acceptance of this Agreement and, if applicable, the Transaction Agreement. 8. WHAT ABOUT OTHER WEB SITES LINKED TO OUR WEB SITE? The Web Site is provided on an “as is” and “as available” basis, and without any representations, warranties or conditions of any kind, whether express or implied, and including without limitation implied warranties of products and services, fitness for a particular purpose, all of which are hereby disclaimed by Chopra Addiction and Wellness Center and the providers to the fullest extent permitted by law. You (and Not Chopra Addiction and Wellness Center.) assume the entire cost of all necessary servicing, repair or correction to any computer or other equipment arising from, connected with, or relating to your use of the Web Site. The operation of the Web Site may be affected by numerous factors beyond Chopra Addiction and Wellness Center’s control. The operation of the Web Site may not be continuous or uninterrupted or secure. Security and privacy risks cannot be eliminated. Chopra Addiction and Wellness Center is under no obligation to verify the identity of users of the Web Site. And Chopra Addiction and Wellness Center and its providers disclaim any and all liability regarding such matters to the fullest extent permitted by law. Chopra Addiction and Wellness Center will not under any circumstances be liable to you or any other person for any loss of direct use, indirect, special, incidental or consequential loss or damage or punitive damages, whether in contract, tort or under any other theory of law or equity, arising from, connected with, or relating to the use of the Web Site by you or any other person, and regardless of any negligence or other fault or wrongdoing by Chopra Addiction and Wellness Center and notwithstanding that Chopra Addiction and Wellness Center may have been advised of the possibility of such loss or damages being incurred by you or any other person. Chopra Addiction and Wellness Center disclaims any liability for unauthorized use of the Web Site. You hereby release, remise and forever discharge Chopra Addiction and Wellness Center from manner of rights, claims, complaints, demands, causes of action, proceedings, liabilities, obligations, legal fees, costs, and disbursements of any nature and kind whatsoever and howsoever arising, whether known or unknown, which now or hereafter exist, which arise from, relate to, or are connected with your use of the Web Site. 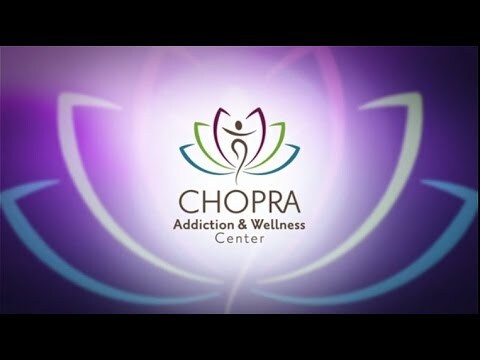 Chopra Addiction and Wellness Center may at any time and for any reason, with or without cause, and in its sole discretion, immediately suspend or terminate (in whole or in part) your permission to use the Web Site and your user password, all without any notice or liability to you or any other person. If this Agreement or your permission to use the Web Site is terminated by you or Chopra Addiction and Wellness Center for any reason, this Agreement will nevertheless continue to apply and be binding upon you in respect of your prior use of the Web Site and your purchases of goods and services through the Web Site and anything connected with, relating to or arising from those matters. Any information submitted to Chopra Addiction and Wellness Center using web mail shall be deemed and remain the property of the Chopra Addiction and Wellness Center and Chopra Addiction and Wellness Center shall be free to use, any ideas, concepts, techniques contained in information provided Chopra Addiction and Wellness Center through the Web Site or sent through e-mail for the purposes of operating Chopra Addiction and Wellness Center; and you agree that any information submitted for inclusion at the Web Site does not infringe on the intellectual property or other rights of any third parties and you grant Chopra Addiction and Wellness Center a right to provide access to the information from the Web Site. Chopra Addiction and Wellness Center will not be responsible for any damages you or third party may suffer as a result of the transmission of confidential information that you may submit to Chopra Addiction and Wellness Center through the internet as the internet may not be a secure medium and privacy through this medium cannot be ensured.